My son, Gabe, had ice cream not too long ago and he inherited his father’s sweet tooth. One morning, I ask him if he would like cereal or eggs and he replied, “Ice cream”. I felt so defeated. If anyone has seen the movie ‘Grandparents’ with Bette Midler and Billy Crystal you will remember the scene of the granddaughter gorging on ice cream and yelling at her mom who just busted her eating it that it tastes nothing like yogurt. This scene has been playing though my head, as I knew I couldn’t deprive him of ice cream but I didn’t want to be giving him ice cream all the time. I breezed through the fridge to see what I could create. 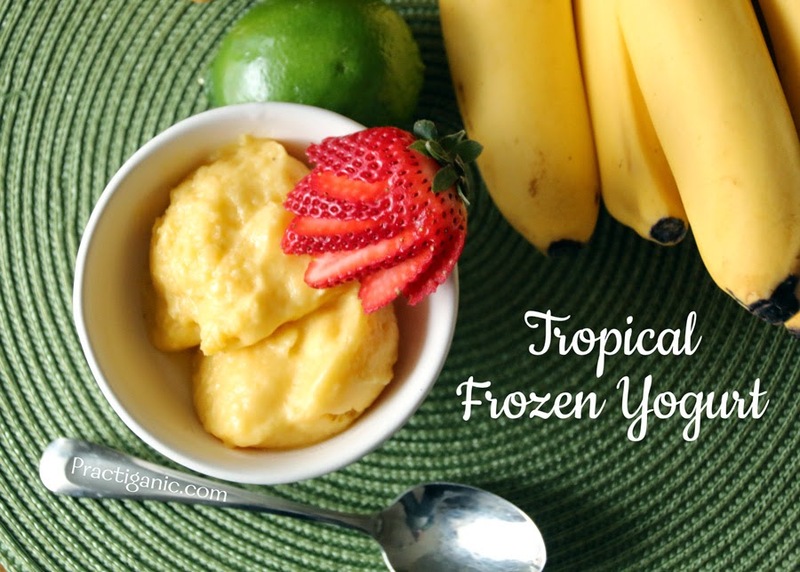 Frozen yogurt, perfect! He calls it ice cream but it makes me feel just a bit better when he eats it. And no, I do not give it to him for breakfast!